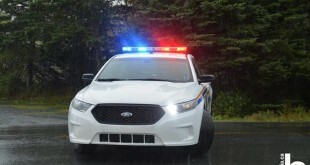 Home / News / Arichat RCMP investigate fatal ATV collision, D’escousse, N.S. Arichat RCMP investigate fatal ATV collision, D’escousse, N.S. Arichat RCMP is investigating a fatal collision that occurred earlier this evening. At approximately 7:30 p.m. this evening, RCMP, Isle Madam Fire Department and EHS responded to a single ATV collision that occurred on Rifle Range Road, near D’escousse, Richmond County, Nova Scotia. Preliminary investigation revealed that a male driver, who was the lone occupant, lost control of the ATV and was ejected. The driver, 78, from D’escousse was pronounced dead at the scene. The name of the decease is not being released at this time. The investigation is continuing.